If you’re on Facebook let’s win this for our School. Simply Like, Share and mention your school on our post. HERE’S THE LINK … ! The school with the most mentions will win. 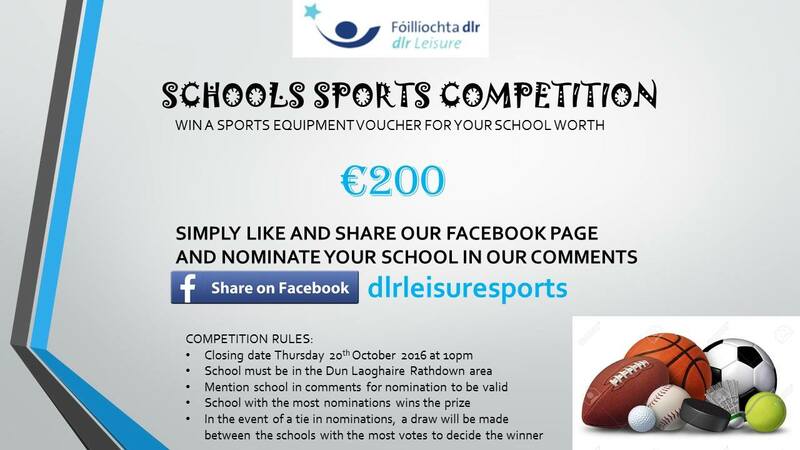 This entry was posted in Parent General Information, School Fundraiser, Sports and tagged Competition, DLR-Leisure-Sports, Sports. Bookmark the permalink.